Between March 2017 and February 2018 – representing an incredible rise of 10.4%. Following this substantial growth, HSBC has predicted that exports will rise a further 22% by 2020, and double overall by 2030. This is excellent news for the UK economy, despite Brexit fears, as more companies continue to explore new ways to grow their businesses and become more profitable. Exporting continues to play a fundamental role in the TALL Group’s success. 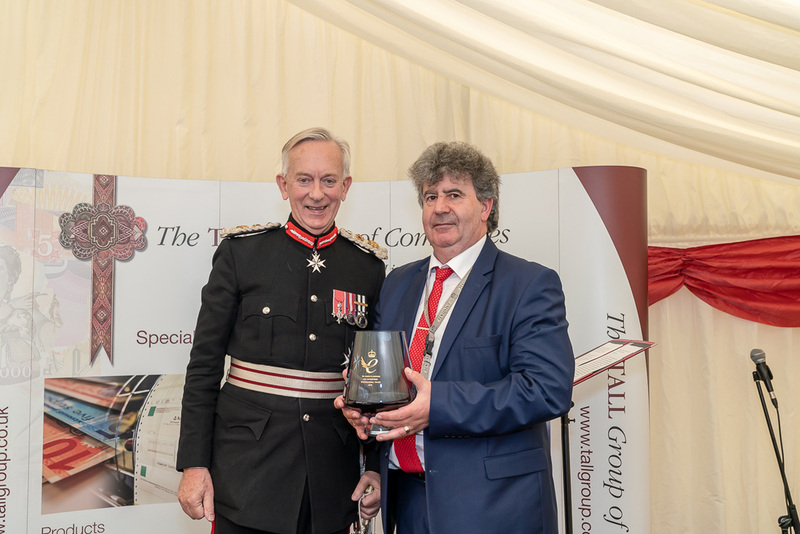 We were honoured this year to have been accorded the Queen’s Award for Enterprise: International Trade 2018 for our impressive export sales over the last three years in countries across the globe. We signed our first international export deal with Nigeria in 2007 and over the past eleven years our export business has grown to include countries in America, Africa, Caribbean, Europe, the Middle East and Asia, where we provide various solutions and products such as cheque books, ballot papers, cheque scanners, university certificates and more. Researching export markets can begin at home with desk research without a requirement to visit distant countries. By considering which countries have demand for our products and services, with sufficient volume and growth potential, attention needs to be paid to country demographics and just who else is already marketing their products in the region. In order to successfully sell a product overseas, you have to know exactly how it will be used in the country you are exporting to. For example, if we have been asked to provide ballot papers for an overseas election, we will need to know all of the legal requirements concerning that paperwork. This can include watermarks, font sizes and any stamps or symbols that may be unique to that country. Additionally, as we are exporting sensitive documents, which sometimes includes personal information, we may need to consider using alternative packaging or labelling, so we do not to reveal the contents of the parcel. The key to success is knowing all of these intricacies so you can provide a seamless service to your international customers, helping you to win repeat business. This requires meticulous planning and attention to detail throughout. Another way to ensure success when exporting overseas is to explore all your options to market. One route is to sell directly to your customer, whether that be the government, schools, hospitals, public buildings or local businesses. However, engaging with a local distributor or reseller, sales agent, or even entering into a joint venture, can increase your chances of success as you aren’t stretching your resources across multiple countries and can rely on local knowledge to build relationships. In my experience, having a dedicated team working on your export project is incredibly important. In 2006, I was appointed as TALL Group Export Sales Manager. The main aim of the role was to identify potential partners, understand the demand for our product in other countries and help grow our business internationally. Over the past decade our sales teams, both in the UK and across the world, have developed and grown to become leading authorities in the sector, ensuring we are able to deliver high quality products to all our customers. Taking time to hone and choose the right team can make the difference between success and failure. Remember not everyone speaks English, despite what we think. Marketing collaterals and communication needs to be tailored to local markets and trialled before embarking on major campaigns. What appeals to ‘Western’ tastes may be offensive and inappropriate to other cultures. By using local representation, the right message can be used, helping to avoid incidents. Another potential banana skin is having the correct export documentation. This is a key area for consideration to avoid having costly delays in both time and money with goods stuck in customs without the proper authorisations. HMRC has some great advice and assistance with this area followed by the UK embassy staff in your chosen country. Always ensure you know who is responsible for what, particularly with incoterms. Agree this from the outset so everyone is clear who pays what, when and how much. Again, there is a lot of information available through HMRC or the DIT to help in this area. Even your bank will have a vested interest in helping out here. Make sure that you understand local legal requirements to ensure that your goods, services and paperwork meet these regulations. Product compliances and certificates vary from country to country and region to region so it is always worth checking beforehand that local requirements are met. Depending on the nature of your goods or services, consider your Intellectual Property Rights. Growing demand for a product that is not protected and can easily be copied and produced locally is wasting valuable investment and resource. Getting product to your chosen market place in a timely and cost-effective manner will depend on volumes, value and your customer’s patience. However, profit margins can be quickly eroded by choosing the wrong type of export logistics. Avoid over or under packaging products too, as this will have an important effect on transportation. Then finally, when the goods are ready to go, check and double check your export documentation for the correct insurance, duties, product coding and customs clearance. Obviously, once you have a successful sale under your belt, don’t stop there. Get feedback, cross sell and certainly look for the next opportunity to build on your new found export experience. In conclusion, the UK export market is continuing to grow at a phenomenal rate and different organisations across various sectors are primed to take advantage of this lucrative business opportunity. In my opinion, if a company properly researches their market, understands how their products best fit within various international marketplaces, and invests in an expert and dedicated team, they will be able to succeed, both at home and overseas.